The Fridtjof Nansen Institute at Polhøgda, Oslo. Photo: Jan D. Sørensen, FNI. 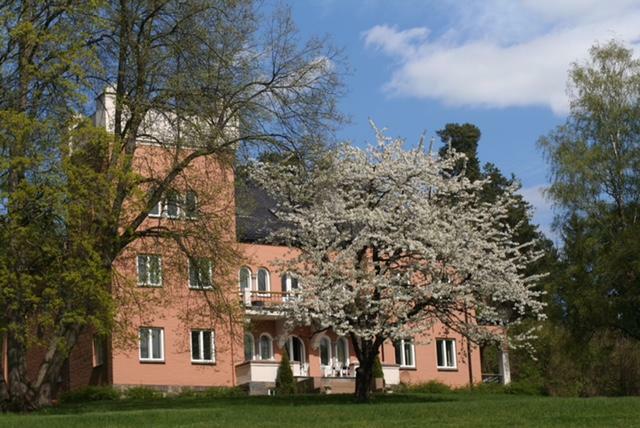 As part of the Nordic Network on Climate Change Governance (NordClimGov), the Fridtjof Nansen Institute is hosting a two-day workshop on the changing role of the nation state in climate change policy. We invite scholars from institutions in the Nordic region and neighbouring countries to submit papers. The full Call for Papers can be read here. The workshop is funded by the Joint Committee for Nordic research councils in the Humanities and Social Sciences (NOS-HS) and the Independent Research Fund Denmark, and is organised by the University of Copenhagen, Stockholm Environment Institute (SEI), University of Eastern Finland (UEF) and the Fridtjof Nansen Institute (FNI). The call invites scholars from institutions in the Nordic region and neighbouring countries to submit papers. Early-career scholars are particularly encouraged to participate. Funding is provided to cover the costs of accommodation and meals. In some cases, travel support to Oslo may be offered. Please state in your submission if you wish to apply for such support as well as where you would be travelling from, and estimated travel costs. No per diem is offered. The name, current position and affiliation of the paper presenter. An indication of which stream(s) your abstract addresses. The deadline for the submission of abstracts is 28 February 2019. Selected participants will be notified by 15 March 2019. Abstracts should be sent to Harro van Asselt and Tor Håkon Inderberg. Dr. Åsa Persson (SEI/Linköping University).